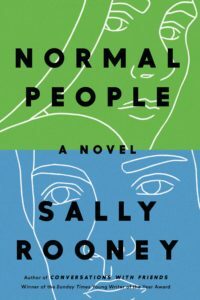 A sprawling portrait of the current American climate, spanning the years from the Obama inauguration to the current political moment. 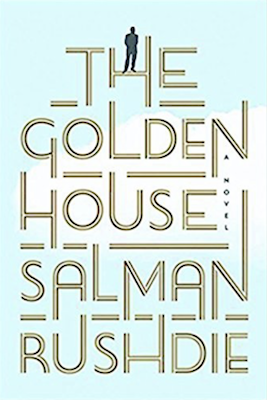 The Golden House focuses on a mysterious billionaire and his three adult sons who change their names and move to New York City in an attempt to reinvent themselves after tragedy. [Rushdie] flits from the Romans to the Beatles, from The Odyssey to Obamacare, from Sophocles to Michael Jackson, with the same ease that his protagonist, Nero Golden, moves from Bombay to New York ... The Golden House reads like the work of an older, more jaded novelist, and the work itself often muses on the nexus between public and personal corruptions. The real-life rise of a politician Rushdie nicknames The Joker (much as he had once called a certain Indian female politician The Widow), has clearly rattled him. And yet, this is a recognizably Rushdie novel in its playfulness, its verbal jousting, its audacious bravado, its unapologetic erudition, and its sheer, dazzling brilliance ... Paradoxically, the novel’s weak spot is in its recounting of the 2016 election and its aftermath. Rushdie’s journalistic narration cannot match the period’s surrealness and rather than rising to the level of myth or allegory, his reportage occasionally resembles the language of countless Facebook posts. Each sentence in it is a Cirque du Soleil leap into a net that only he can see. Each sentence seems to be composed of stardust, pixie dust, fairy dust, angel dust, fennel pollen and gris-gris powder, poached in single-udder butter, fried and refried, encrusted with gold as if it were a Gustav Klimt painting, and then dotted with rhinestones ... The effect is exhausting — and deadening. Anything can happen, so nothing matters. Rushdie is obsessed with 'characters,' as Alfred Kazin once said of John Irving, yet somehow does not evoke the more difficult thing: character. There is a reason to consider sticking with all 380 pages of The Golden House, however. 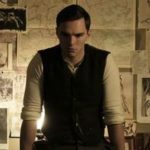 It has little to do with the novel’s plot ... In Trump, Rushdie finds such a perfect villain that he finds it hard to let him go. The Trump character is named Gary 'Green' Gwynplaine, a wealthy vulgarian, born with green hair, who likes to refer to himself as the Joker. About this Joker, and about the threat he poses to an America this writer loves, it’s a treat to watch Rushdie let fly ... The Golden House has been billed by its publisher as Rushdie’s return to realism. Yet the New York City on offer is so gilded and remote that the novel reads like what one’s impressions would be if all one knew of it came from back issues of Vanity Fair magazine ... The Golden House is a big novel, wide but shallow, so wide it has its own meteorology. The forecast: heavy wind. What did you think of The Golden House?